Dublin, Wednesday 14th November 2018 – Thinking of buying a refurbished phone online in the run up to Christmas? ECC Ireland is advising consumers to do their research and pay securely before hitting the purchase button. The warning comes as ECC Ireland figures show that just over half of all refurbished phone complaints received from Irish consumers (during a 12-month period*) about traders based elsewhere in the EU/EEA were in relation to delivery problems, with many goods not being delivered at all. Nearly one third of refurbished phone complaints from Irish consumers for the same period related to goods either arriving faulty or the fault appeared soon after purchase. Other complaints involved phones not picking up any Irish mobile network, the IMEI reported lost or stolen, or postage/delivery restrictions on goods using lithium-ion batteries. In relation to half of all refurbished phone complaints, the trader either refused to respond in the first instance or stopped responding after a complaint was lodged. In some cases, consumers who placed their orders through online platforms did not even know the seller’s identity. ECC Ireland is therefore urging consumers to buy from reputable sellers and to check reviews before purchase. Press and Communications Manager for ECC Ireland, Martina Nee, explained: ‘With Black Friday, Cyber Monday and the Christmas shopping season ahead of us, many consumers may be thinking of buying a mobile phone online, either new or refurbished. While there are plenty of legitimate traders out there selling refurbished phones, there are others who are not adhering to their obligations under consumer legislation. *Figures referred to above are in relation to refurbished phone related complaints received by ECC Ireland from Irish consumers about traders based elsewhere in the EU/EEA for the period March 2017 to March 2018. 52.5% of complaints were in relation to delivery issues. 32.5% of complaints were in relation to goods that arrived faulty or became faulty soon after purchase. In 50% of all complaints, the trader either refused to respond or stopped responding. In 30% of all complaints, the trader either refused to provide a refund after failed repair attempts or refused to give refund when the consumer tried to cancel/avail of right to withdraw. 43% of complaints were about the same trader claiming to be based in the UK (e.g. with UK domain address) but is actually based outside EU/EEA. 25.6% of complaints were about another trader based in the UK. 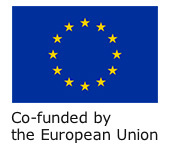 ECC Ireland is part of the European Consumer Centres Network (ECC-Net), which covers 30 countries (all EU countries plus Norway and Iceland), and offers a free and confidential information and advice service to the public on their rights as consumers, assisting consumers with cross-border disputes. ECC Ireland is co-financed by the European Commission and the Competition and Consumer Protection Commission. For media queries contact: Martina Nee, ECC Ireland press and communications manager, (0)1 8797643/ (085) 8895333, or email mnee@eccireland.ie. ECC Ireland can also be found on Twitter @eccireland.